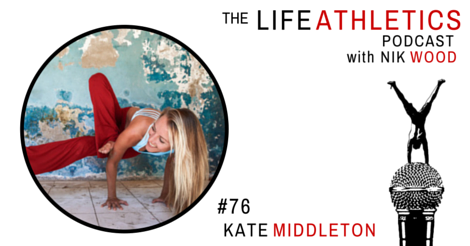 Name: 76 Kate Middleton Life Athletes, hello and welcome to episode 76 of the Life Athletics Podcast! Today’s guest Life Athlete is Kate Middleton. Kate is a Canadian, competing for New Zealand in the sport of Free Diving. She holds multiple national records and won a silver medal at this year’s world championships. She and her boyfriend run a free diving school and yoga studio in the Gili Islands. Here we talk about life as well as balancing the desire of being a calm yogini as well as a competitive athlete on the world level. A habit of gratitude in general. Habit of Action: Sitting every day, and inviting in how I want to feel that day. Greatest area of strength: Trust. Trust in the universe and the elements to support me in what I’m doing. Allow the feeling of connection.